Last month, Chaos Created spoke at TeenTech in Kent. Ali from Chaos Created, alongside Liz Rice from Tank Top TV, presented to 300 pupils from various Kent schools about creating apps, the thought process behind the apps we’ve worked on, and how we got into creating apps and games. Liz showcased some of her work on apps including Skype and Tank Top Movies, whilst Ali talked about his work on Timedancer, Zombies Ate My City and Langeroo. The day was broken down into three sessions, with roughly 100 pupils in each session, and was made up of the presentation from Ali and Liz, followed by a workshop where pupils (in their school groups) had fifteen minutes to come up with their own app idea before pitching it to the other groups. At the end of the day, Ali and Liz picked various winners based on different criteria. 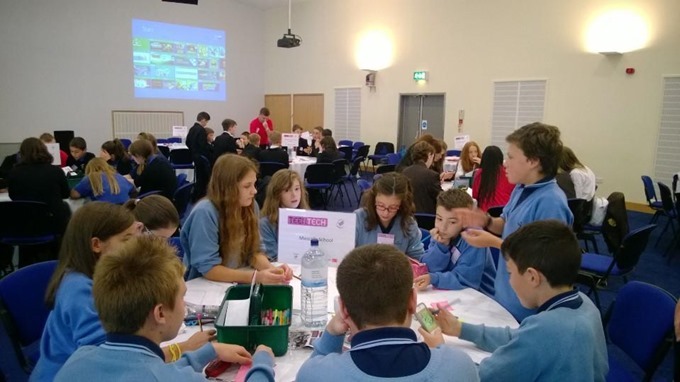 It was a great chance for us to work with some really talented and creative pupils – some of the ideas coming from the groups were outstanding, solving real-world problems, featuring sophisticated business models and many took advantage of the sensors present on modern smartphone and mobile devices. 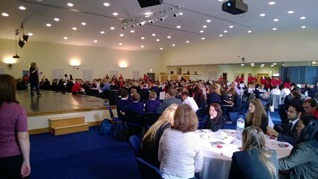 The day was a huge success, and we look forward to being involved in future TeenTech events. TeenTech events run across the country – check out their web site for upcoming events.